CSIRO is running an exciting astronomy teacher workshop in May at the Parkes Observatory. The three-day workshop is a wonderful opportunity for participants to develop astronomy skills and knowledge beside the iconic 64m Parkes radio telescope as they learn about some of the latest research in astronomy, tour the Dish, trial classroom activities and learn new approaches to teaching astronomy. An evening session takes you through the joys and pitfalls of how to run a viewing night with hands-on use of small telescopes and other equipment. You’ll be introduced to a range of astronomy educational materials and receive a resource pack. Presenters include professional astronomers, engineers and astronomy educators with CSIRO Astronomy and Space Science. With a diverse range of topics covered including stars, galaxies, an update on Solar System exploration, telescopes and the electromagnetic spectrum, and extreme astrophysics, the program is packed with inspiring information to take back into the classroom. The workshop is suitable for all school teachers of science, both Primary and Secondary. In addition to formal learning, there will also be opportunities to network with colleagues and professional astronomers over a gourmet Dinner by the Dish at the award winning Dish Café. Participants in this professional development event will qualify as accredited Galileo Teacher Training Program teachers – an international program. NSW teachers also receive full BOSTES accreditation for professional development hours through CSIRO’s agreement with the Science Teachers’ Association of NSW. The Ground Up! 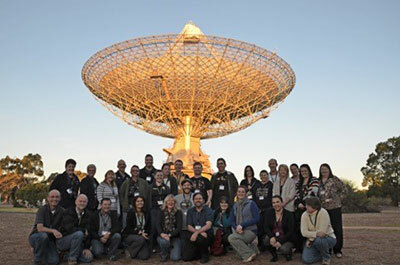 Teacher Workshop takes place from 15 – 17 May at CSIRO’s Parkes Observatory. The workshop costs $550 including GST, resources and most meals.